Accelerate planning cycles and improve capital effectiveness with Portfolio Advisor. 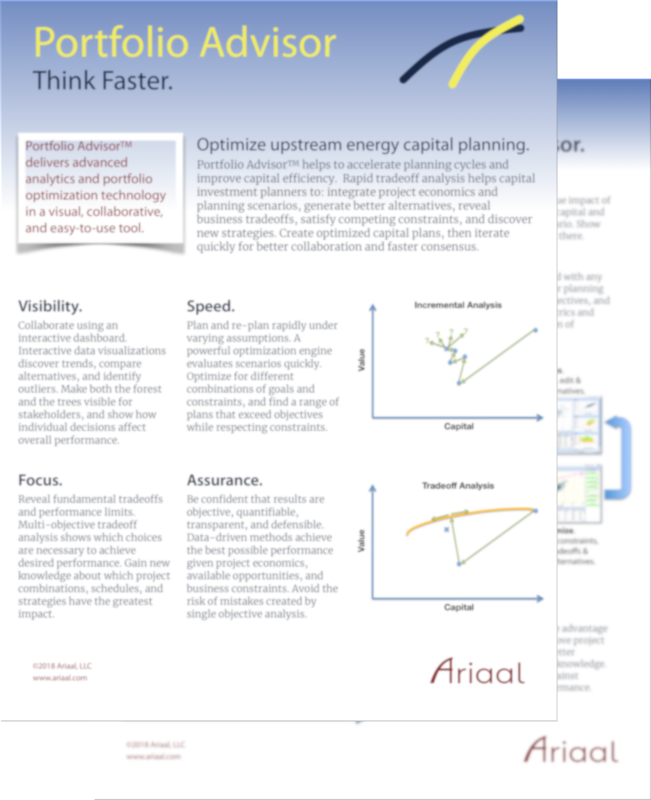 Sign up below to join our mailing list and get a two-page white paper showing how multi-objective optimization delivers superior capital portfolios for upstream energy. Your browser might have content blocking enabled. Try another browser or email contact@ariaal.com.